Chop Chef is a chamber opera in two acts that explores the characters, tropes, and narrative devices of reality television and exports them to the operatic stage where they can be pushed to their absurd conclusions. These shows are a matter of life and death for the contestants. By exploring this topic, Blush is committed to expanding contemporary operatic repertoire with stories that have a direct resonance with broad Australian audiences. Uploaded by Greykeys88 on 2017-08-17. Julie Koh (許瑩玲 / J.Y.L. Koh) was born in Sydney to Chinese-Malaysian parents. She studied politics and law at the University of Sydney, then quit a career in corporate law to pursue writing. 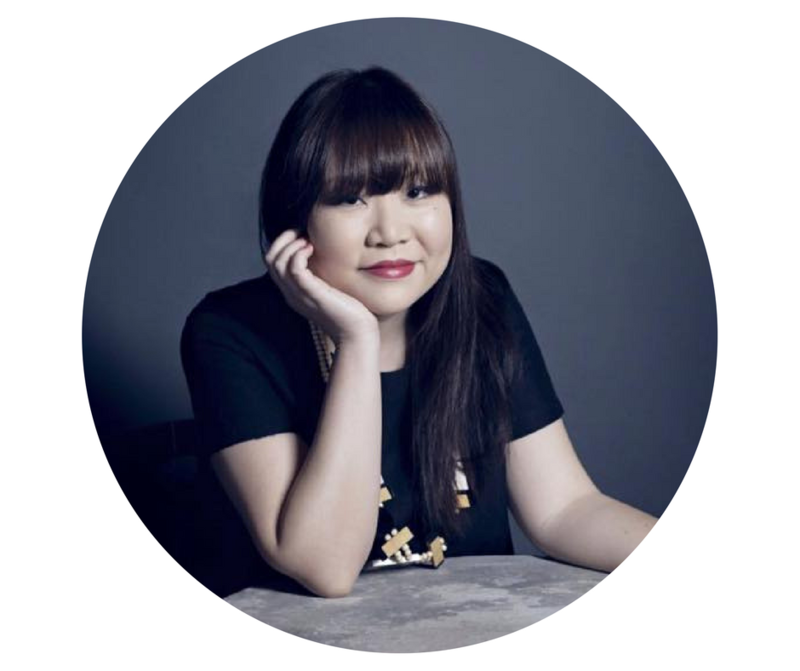 Her short stories have appeared in The Best Australian Stories 2014, 2015 and 2016, 2016’s Best Australian Comedy Writing, TheAustralian, The Sleepers Almanac 7 to X, The Lifted Brow, Seizure, The Canary Press, Kyoto Journal, The Fish Anthology and Fixi Novo’s HEAT. A full-length collection, Portable Curiosities, is now out with UQP. It has been shortlisted for the Readings Prize for New Australian Fiction 2016, the Queensland Literary Awards – Australian Short Story Collection – Steele Rudd Award 2016, and the UTS Glenda Adams Award in the 2017 NSW Premier’s Literary Awards. Portable Curiosities was one of The Guardian’s Best Australian Books of 2016, an Australian Book Review 2016 Book of the Year, a Sydney Morning Herald Daily Life feminist reading pick of 2016, and a Feminist Writers Festival Best Feminist Book of 2016. Julie is the editor of BooksActually’s Gold Standard 2016 (Math Paper Press), a new annual anthology of the best short fiction from cult writers of East Asia, Southeast Asia and the diaspora. She is also a founding member of Kanganoulipo. Chop Chef: The opera will be Julie's first foray into the operatic world. An acclaimed Violist and Chamber Musician, Luke Spicer is now poised to make his mark as a conductor both here and abroad. Graduating with a Mas-ters of Conducting from the Sydney Conservatorium, he has furthered his studies in Freiburg, and Manchester; and attended the Fondazione Musicale Chigiana, working under Maestro Guanluigi Gelmetti. In 2014 he was appointed Principal Conductor of the Sydney University Symphony Orchestra, and also works regularly with Opera Australia and the Tasmanian Symphony Orchestra. Luke made his operatic debut in 2015 with Gluck’s Orfeo ed Euridice, as part of the Spectrum Now Festival, with Silvia Colloca singing the principal role. Other recent Conducting engagementsinclude Walton’s Façade, Prokofiev’s Peter and the Wolf, Mendelssohn’s Elijah and Wagner’s Wesendonck Lieder. Nick is a theatre maker and producer. He is currently Producer, Q Programs for The Joan and Board Member for PACT Centre for Emerging Artists. Nick has worked as Associate Producer and Co-Artistic Director of Crack Theatre Festival, and as a teaching artist for The Joan, Shopfront Contemporary Arts, Casula Powerhouse and ATYP. He directed Teacup in a Storm and Frankenstein. Nick’s play Out of the Bars won Gasworks Arts Park’s ‘Playtime’ initiative in 2016. He wrote and performed A Boy & A Bean, which was awarded Best Performing Arts Event at Mardi Gras in 2014. Other productions include Twinkle (The Q, Seymour Centre), Dance Hall Days, directed by Katrina Douglas (The Q), and Unsex Me, which was part of Riverside’s ‘True West Theatre’ program. Alex Sefton. Alex is a graduate of the Western Australian Academy of Performing Arts with a bachelor of music and a diploma in classical voice. In Western Australia he performed in many music theatre, opera and oratorio productions. He has toured for two years for Opera Australia throughout NSW performing in hundreds of schools in productions of Mozart’s The Magic Flute and Rossini’s The Barber of Seville. He was awarded a best actor @CONDA for his performance in the title role of last year’s The Marriage of Figaro. He has performed main roles in Carmen, La Boheme, and La Traviata for Opera New England. He grew up in Newcastle and acted with many companies: 2 till 5 Theatre, Tantrum Theatre, Newcastle Theatre Company, Maitland and Hunter Youth Drama Ensemble. Blush Opera are the recipient of various grants that enable Chop Chef to become a reality, enables us to adequate compensation of artists to contribute to a vibrant cultural economy. NMN Lab2017 provided Blush Opera with funding to instigate a mentorship program between establish artists Omega Ensemble and Blush Opera as emerging artists. The program culminated in the first creative development workshop for Chop Chef: The Opera at City Recital Hall Angel Place. Blush Opera was the recipient of the 2017 Southland Breakthrough Award supported by Southland Shopping Centre that recognises the need for arts and culture in community life. The Penrith Performing & Visual Arts Ltd is providing in-kind support to bring this opera to life, by providing marketing, business and dramaturgical support to the opera at its embryonic stages. Inner West Council Arts Grant is supporting the creative development of this opera by providing an opportunity for it to be workshopped in the Inner West to a live audience. Blush Opera also acknowledges the in-kind support offered to us by companies who have made Chop Chef: The Opera a living reality.